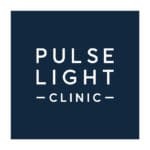 Pulse Light Clinic, based in London, has the latest innovation in the laser industry for a wide range of treatments such as laser hair removal, tattoo removal, rosacea treatments, anti ageing, stretch mark removal, acne scar removal, cellulite reduction and many more. Treatment reviews. Free laser treatments in exchange for reviews. When would the blogger need to complete and publish the Instagrammers assignment by?